Welcome to the Capability Brown page! The year 2016 saw the 300th anniversary Lancelot ‘Capability’ Brown&apos;s birth in Kirkharle, Northumberland. He was one of the foremost landscape architects of the 18th century and is closely associated with the English Landscape Movement. 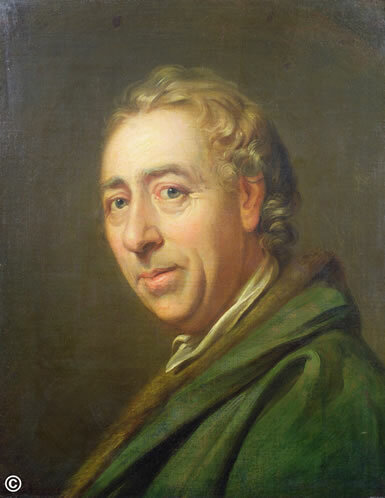 The national Capability Brown Festival gave much publicity to Brown&apos;s work over 200 sites in England and Wales. You can find out more about Brown&apos;s work across the country by going to the Parks and Gardens UK website here. Click on a thumbnail to see a larger picture at the top of the page. Click on the left or right arrows to see more thumbnails. Our main contribution to the Capability Brown festival was to research and write a new book Capability Brown in Kent. It has been written by members of our research team and tells the story of Brown&apos;s commissions in Kent. Capability Brown worked at Ingress, Leeds Abbey, Valence, Chilham Castle and North Cray Place. These sites are all relatively small-scale, and most have been much altered since Brown&apos;s involvement. Nevertheless, the authors demonstrate clearly how detailed investigations into what he achieved in Kent provide valuable insights into his remarkable output throughout the country. All five estates reveal elements of ‘classical’ Brown work. At Leeds and Valence he created dams and lakes; he planted sinuous tree belts at North Cray Place and Ingress; he removed avenues of trees at Ingress and Valence, and at all the sites he planted specimen trees in key positions. Whilst Brown removed formal gardens at Leeds and Ingress he was generally sensitive to the views of his patrons and contemporaries. As an architect who favoured Gothic and Palladian forms, the book reveals examples of his work in both styles. The book describes the social context of the time, and shows how Brown was adept at moving amongst the political, business and mercantile land-owning classes. It also demonstrates, during a period of little more than 35 years, his genius as a landscape gardener and his business acumen in creating five harmonious landscapes in Kent and well over 200 throughout England. This book will interest garden historians, but also anyone with an interest in how the English landscape that we cherish today was formed by one of the greatest and most influential designers of the time. The book has 116 pages and is fully illustrated. 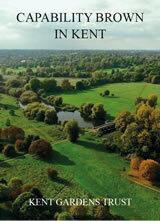 It is available for £9.50 (£8.00 for members of Kent Gardens Trust). As part of the 300th anniversary celebrations in 2016, Kent Gardens Trust held a special event at Chilham Castle, which Brown first visited in 1777. Two Brown experts, Steffie Shields and Kate Felus, gave illustrated talks; we toured the garden and also put on an exhibition of Brown&apos;s work in Kent. If you want to read more about the event, there is a full account in our Autumn 2016 newsletter which you can find here. Exhibition at Kent History and Library Centre, Maidstone. As part of the event at Chilham Castle, an exhibition, Capability Brown in Kent, was displayed. This was re-mounted in conjunction with the Kent Archives Services and was shown at the Kent History and Library Centre during March 2017 and again during July. Artefacts from the archive collections, relating to the five Kent sites, are displayed alongside the images. It is hoped that the exhibition will visit other libraries in the future. © Portrait of Lancelot ‘Capability’ Brown, c.1770-75, Cosway, Richard (1742-1821)/Private Collection/Bridgeman Images.